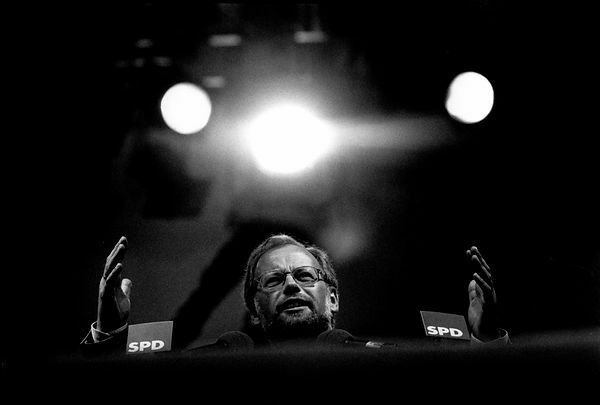 Bundestagswahlkampf 1994, Kundgebung der SPD im Dortmunder Westfalenstadion, Helmut Schmidt auf der Buehne. Europa, Deutschland, Dortmund, 4.9.1994. | Power and Ritual - Rituals of Election Campaigns. 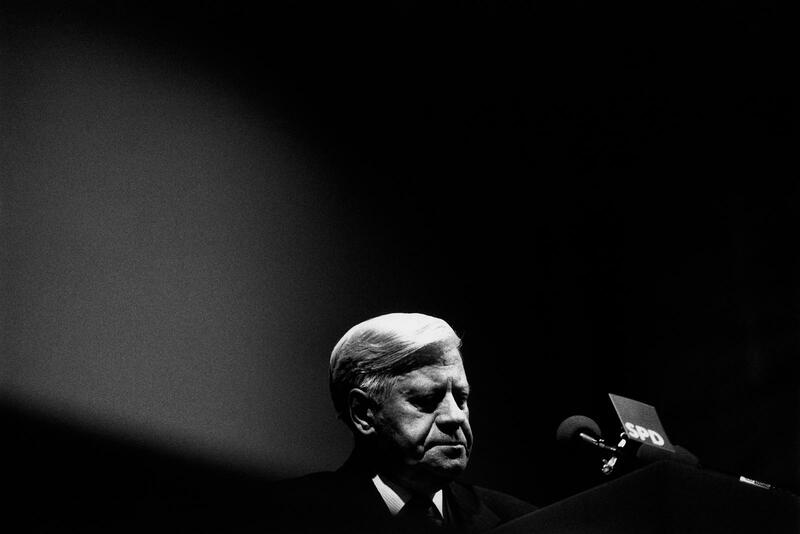 Former chancellor (1974-1982) Helmut Schmidt (social democrats SPD) during the election campaign in Dortmund, Germany 1994. 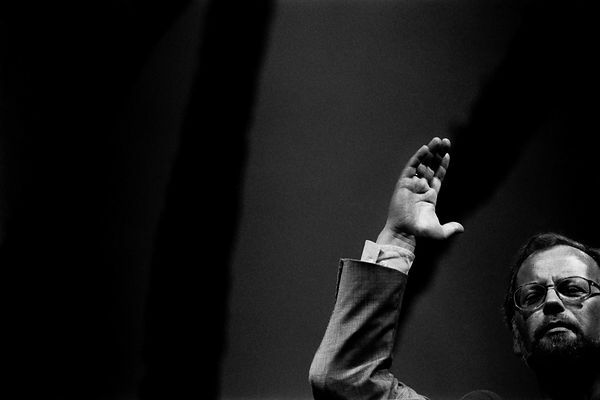 He followed Willy Brandt and he was the first chancellor who was mainly involved in fights against terrorism by RAF. Gelatin silver print, 40x60cm, mounted on cardboard, sig., st., 2004.